Watching the Detectives: Will Probe of Cop’s Cases Extend to Prosecutors? A review of 50 Brooklyn murder prosecutions could free men from prison and ruin the reputation of the former detective who helped make the cases. Some insist the prosecutors who worked alongside the accused detective should not be spared scrutiny. Two are now New York State judges. Several others are accomplished lawyers at some of the city’s more respected firms. Four have risen to be senior officials in the Brooklyn District Attorney’s office, one of the largest municipal law enforcement agencies in the country. These people – and likely dozens of others – are linked in at least one, suddenly noteworthy way: they prosecuted cases over the last two decades with Louis Scarcella, a former Brooklyn homicide detective whose work, and possible misconduct, has become the focus of intense public scrutiny. Charles J. Hynes, the current top prosecutor in Brooklyn, has ordered a formal review of 50 cases that Scarcella investigated, an enormous undertaking that was prompted by Scarcella’s alleged role in wrongly convicting a Brooklyn man of murder more than 20 years ago. To date, Hynes has refused to say explicitly whether his inquiry will examine the work done by the prosecutors who worked alongside Scarcella, accepting his evidence, making use of the confessions he obtained, vouching for the witnesses he helped locate and interview. In emailed responses to questions from ProPublica, Hynes’s spokesman, Jerry Schmetterer, said that the investigation is “confidential.” “We’ll go wherever the investigation leads us,” Schmetterer said. One person familiar with the inquiry said Hynes's had enlisted a panel of former judges and lawyers to assist in the review, but it is unclear what precise role they will play. But legal experts, defense lawyers for the men Scarcella helped incarcerate, and Hynes’s political rivals have all said that any investigation of Scarcella’s cases that does not extend to the prosecutors who worked with him would be fundamentally suspect. Certainly, should additional people be freed as a result of Hynes’s probe, lawsuits would follow, efforts that doubtless would seek to explore the role of prosecutors in any tainted Scarcella case. Already, the one man freed because of concerns about Scarcella’s work – David Ranta, who served 23 years in state prison for the murder of a rabbi in Brooklyn – has filed a notice that he intends to pursue a malicious prosecution lawsuit. Laurie Levenson, a former assistant U.S. Attorney who now teaches criminal law at Loyola Law School in Los Angeles, said that if Hynes truly intends to conduct a thorough investigation, his current and former prosecutors should be scrutinized just as much as Scarcella. “Frankly, there could be plenty of blame to go around,” Levenson said. The number of current and former prosecutors whose handling of cases could be put under the microscope is formidable. Scarcella was a very active and aggressive detective working Brooklyn at a time when there were hundreds of murders a year in the borough. And the length of his career – 26 years – means that he worked with succeeding generations of prosecutors. The two prosecutors who tried the case against Ranta have gone on to prominent jobs. Suzanne Mondo is now a Brooklyn judge; Barry Schreiber is a respected defense lawyer. Neither returned calls for comment on the Ranta case. Scarcella, in recent interviews with New York reporters, has cited the credentials of those prosecutors and others he worked with as evidence that he could not have done what he has been accused of – framing defendants, concocting confessions, coercing witnesses. He said in one interview that Schreiber was thrilled with his work in the Ranta case. Scarcella’s partner for 12 years, Stephen Chmil, said that prosecutors were aware of their every move. Chmil said he and Scarcella regularly apprised prosecutors of their routine police work, notifying them of arrests, identification procedures, suspect line-ups, and sharing with them their notes of interviews. The role and responsibility of prosecutors in their work with detectives has been the subject of considerable debate as, with each succeeding year, the examples of wrongful convictions has grown. A prosecutor’s mandate -- to win convictions or to determine the truth – too often gets confused or clouded, experts say. Eugene O’Donnell, a former New York police officer and prosecutor in Queens and Brooklyn who now teaches at John Jay College of Criminal Justice, told ProPublica that prosecutors often avoid asking too many questions because they don’t want to risk weakening their case. Bennett Gershman, a professor at Pace University Law School and an expert in prosecutorial misconduct, summarized his view of a prosecutor’s top priority – the truth -- in an article in the Georgetown Journal of Legal Ethics. 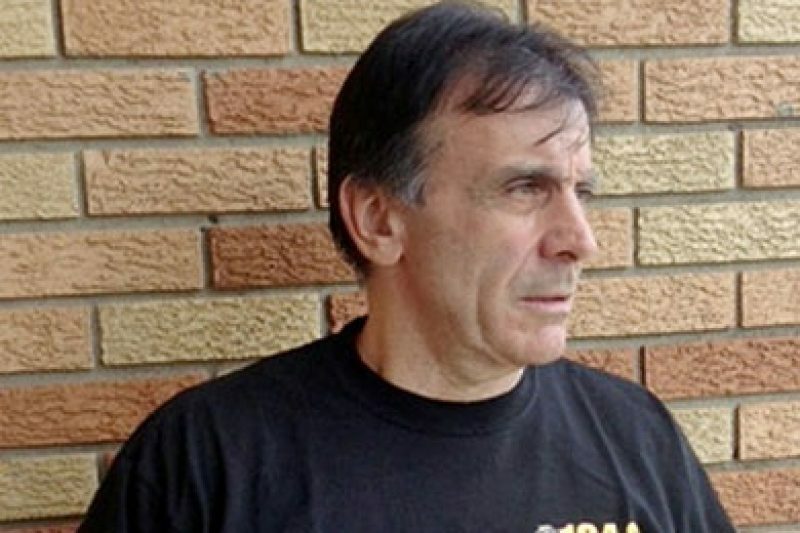 The Legal Aid Society has been given a list of 20 of Scarcella's cases that involved their clients, and it has begun to pull together the documentary record. Many of the prosecutors who worked with Scarcella attended suspect line-ups along with him; they accepted the confessions he obtained, and they ultimately decided to take people Scarcella arrested to trial. In the courtroom, they vouched for the integrity of Scarcella’s evidence and won convictions. 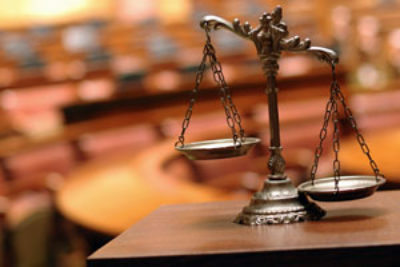 Then, when defendants in some of the cases fought their convictions on appeal, prosecutors denied wrongdoing and enjoyed the professional benefits of victory. Some observers – both critics of Hynes and defense lawyers eager for his review to be aggressive and efficient – have been frustrated at the lack of details Hynes has provided about how the inquiry is being conducted, and they have questioned if he has the will and the resources to do such an epic and potentially troubling review. The group of prosecutors who either worked directly with Scarcella or who oversaw the work of the office’s homicide bureau includes Lance Ogiste, who currently serves as counsel to Hynes, and Anne Gutmann, who has the title of executive district attorney. Ogiste worked with Scarcella on a 1997 case that involved the tragic murder of a 4-year-old girl. According to the defendant, Sundhe Moses, Scarcella rousted him from bed, dragged him to a precinct, slapped him, yelled at him, and choked him until he signed a bogus confession. He’s now serving a 15-year-to-life sentence. Gutmann prosecuted a 1991 murder case against Derrick Hamilton based primarily on the testimony of one eyewitness who has since recanted and alleged that Scarcella coached her on what to say at trial. That case was tried by Joseph Alexis, a 22-year veteran of the office who now heads the Rackets Division, and Jonathan Frank, who finished his career as an executive assistant Brooklyn D.A. in 1999 and now works as a defense lawyer. In each of these cases it’s not clear what the prosecutors knew about Scarcella’s efforts to persuade witnesses to cooperate and defendants to testify. Requests to speak with the current or former prosecutors were declined. For his part, Scarcella denies the allegations against him in full. Those who, day in and day out, handled murder cases when Scarcella was at his busiest also includes John O’Mara. O’Mara was Deputy Chief of the homicide unit when Scarcella worked the Ranta case. And he later served as the top prosecutor in the unit. Hynes’s spokesman would not say what O’Mara’s responsibility would have been for decisions made in individual murder cases. As it happens, O’Mara is today the head of Hynes’s Conviction Integrity Unit, and the man who, at least initially, directed the Scarcella investigation.